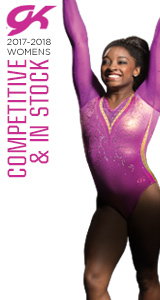 INDIANAPOLIS, July 10, 2014 — More than 1,600 of the nation’s top gymnasts in acrobatic gymnastics, rhythmic gymnastics and trampoline/tumbling are coming to Louisville, Ky., July 15-19 for the 2014 USA Gymnastics Championships. The athlete roster includes seven defending champions, one Olympian, three Youth Olympic Games participants, two World team champions, and one World gold medalist. Held at the KFC Yum! Center and Kentucky International Convention Center, the five-day event is the national championships for trampoline and tumbling, rhythmic gymnastics and acrobatic gymnastics. 2012 Olympian Steven Gluckstein of Atlantic Highlands, N.J./Elite Trampoline Academy, and Olympic alternates Logan Dooley of Lake Forest, Calif./World Elite Gymnastics, and Dakota Earnest of Plains, Texas/Acrospirits, headline the trampoline field, along with defending national champions Jeffrey Gluckstein of Atlantic Highlands, N.J./Elite Trampoline Academy (men’s trampoline), Kristle Lowell of Three Rivers, Mich./Branch Gymnastics (women’s double-mini), and Yuliya Stankevich-Brown of Idaho Falls/Idaho Elite Gymnastics (women’s tumbling). The gold medalists from 2013 World Trampoline and Tumbling Championships are: men’s double mini-trampoline team (Austin White of Newport Coast, Calif./World Elite Gymnastics, Austin Nacey of Braidwood, Ill./Twiststars, Garret Waterstradt of Paxton, Ill./Sun Elite Gymnastics, Alex Renkert of Indianapolis, Ind./Geist Sports Academy); women’s double-mini team (Erin Jauch of Crystal Lake, Ill./Fox Valley T&T, Shelby Gill of Tempe, Ariz./Air Sports, and Lowell); and women’s individual double-mini, Lowell. Renkert claimed the men’s individual double-mini silver medal. 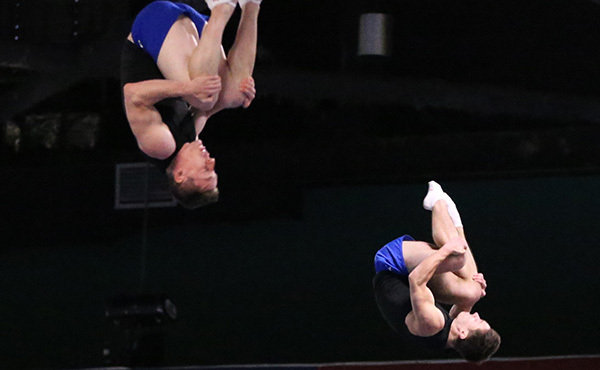 Also competing are Nicole Ahsinger of San Diego, Calif./SoCal TTC, and Cody Gesuelli of Middletown, N.J./Elite Trampoline Academy, who will compete in trampoline at the 2014 Youth Olympic Games in Nanjing, China, this August. The entire trampoline and tumbling field includes 819 athletes competing on the elite and the Junior Olympic levels. They hail from 37 states across the country. For the field list, please click here. Two-time U.S. champion and World all-around finalist Rebecca Sereda of Staten Island, N.Y./Isadora, is seeking her third-consecutive senior all-around title. 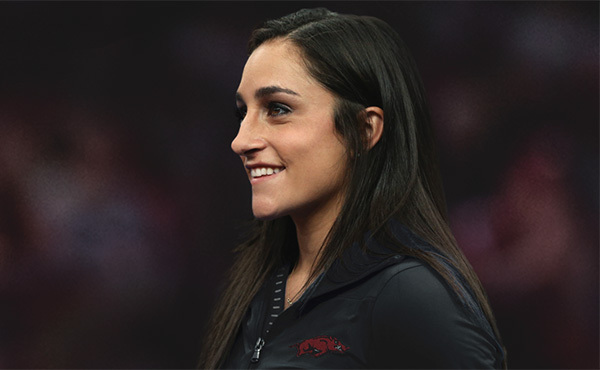 2013 U.S. senior silver-medalist and World all-around finalist Jazzy Kerber of Highland Park, Ill./North Shore Rhythmic Gymnastics Center is also competing at the championships. 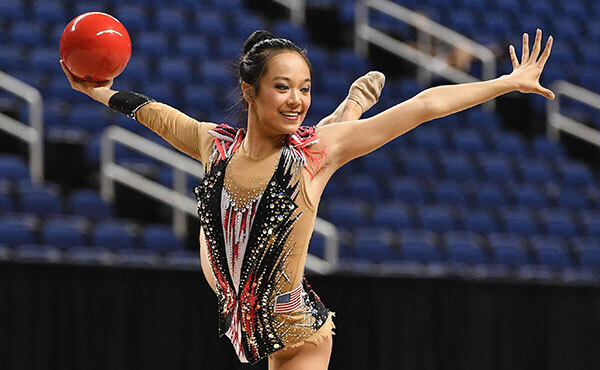 The USA’s rhythmic Youth Olympic Games representative and defending U.S. champion Laura Zeng of Libertyville, Ill./North Shore Rhythmic Gymnastics Center, headlines the junior field. The rhythmic field has 221 gymnasts from 17 states. For the field roster, please click here. 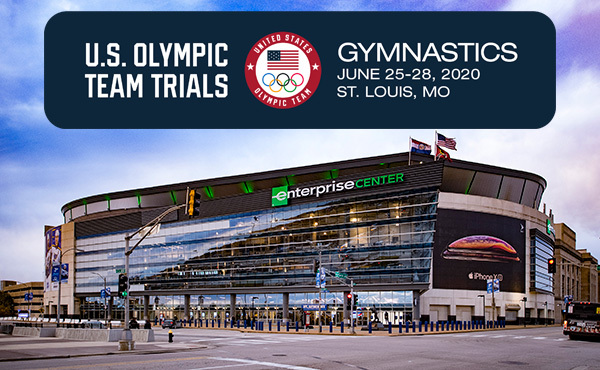 Less than a week after competing at the World Acrobatic Gymnastics Championships (July 10-12, Levallois, France), three U.S. pairs/groups will travel to Louisville for the USA Gymnastics Championships. Kiley Boynton and Ryan Ward of Riverside, Calif./Realis Gymnastics Academy, are looking to defend their senior mixed pair national title. Christina Antoniades of Eldersburg, Md., Emily Ruppert of Baltimore, Md., and Hannah Silverman of Clarksville, Md., all of Emilia's Acro Gymnastics and Cheer, hope to repeat as U.S. women’s group champions. Mixed pair Eirian Smith and Brian Kincher of Livermore, Calif./West Coast Training Center, are also in the field. The three U.S. pairs who won medals – two silver and one bronze - at the 2014 Acrobatic Gymnastics World Age Group Competitions in Levallois, are also in the field. Kathleen Davis and Katarina Partalas, both of San Antonio /Acrobatic Gymnastics of San Antonio, , and Bryan Allen of San Jose, Calif., and Brennan Atsatt, Santa Cruz, Calif., Aerial Tumbling and Acro Gymnastics, won the silver medals for women’s pair – 12-18 and men’s pair – 13-19, respectively. Collin Davis and Konstantine Partalas, both of San Antonio, Texas/Aerial Athletics, won the men’s pair – 12-18 bronze medal. The athlete roster for acro includes 623 athletes from eight states. For the field list, please click here. 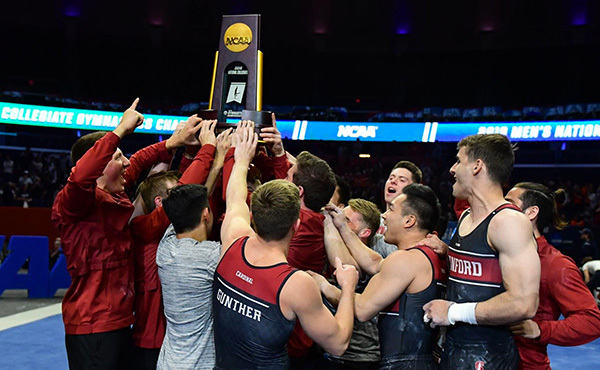 The senior elite sessions for acrobatic gymnastics, rhythmic gymnastics and trampoline are scheduled for 6 p.m. July 17-19, with the finals slated for Saturday night, at the KFC Yum! Center. The junior elite sessions, also at the KFC Yum! Center, begin at 9 a.m. all three days. The Junior Olympic sessions for all three disciplines will be held at the Kentucky International Convention Center, and the sessions begin at 9 a.m. 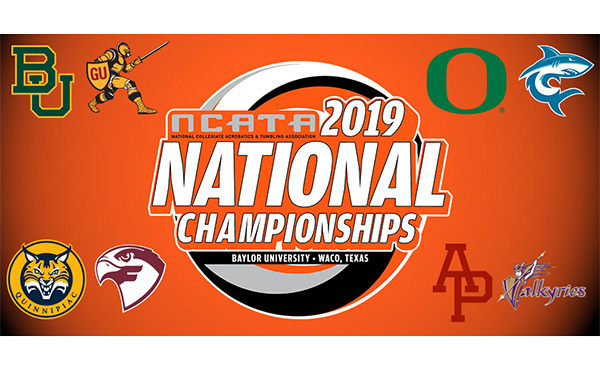 The elite competition for tumbling and double mini-trampoline will also be held at the Kentucky International Convention Center at 9 a.m., with the preliminary round on July 18 and the finals on July 19. For a more detailed schedule and other information, please go to USAGymChamps.com. Evening session tickets at the KFC Yum! Center are: July 17, $20; July 18, $20; and July 19, $25. The all-session pass, which grants access to all sessions at both venues, is $75. A $25, single-day pass is available for the events at the Kentucky International Convention Center onsite on competition days. Tickets may be purchased at the KFC Yum! Center or Kentucky International Convention Center box offices, ticketmaster.com, all Ticketmaster outlets, or by phone at 1-800-745-3000.